#Muslims should from this critical point stand up against the arrogant powers and world-devourers and never sit by until liberation of the #oppressed people from the tyranny of the powerful ones. 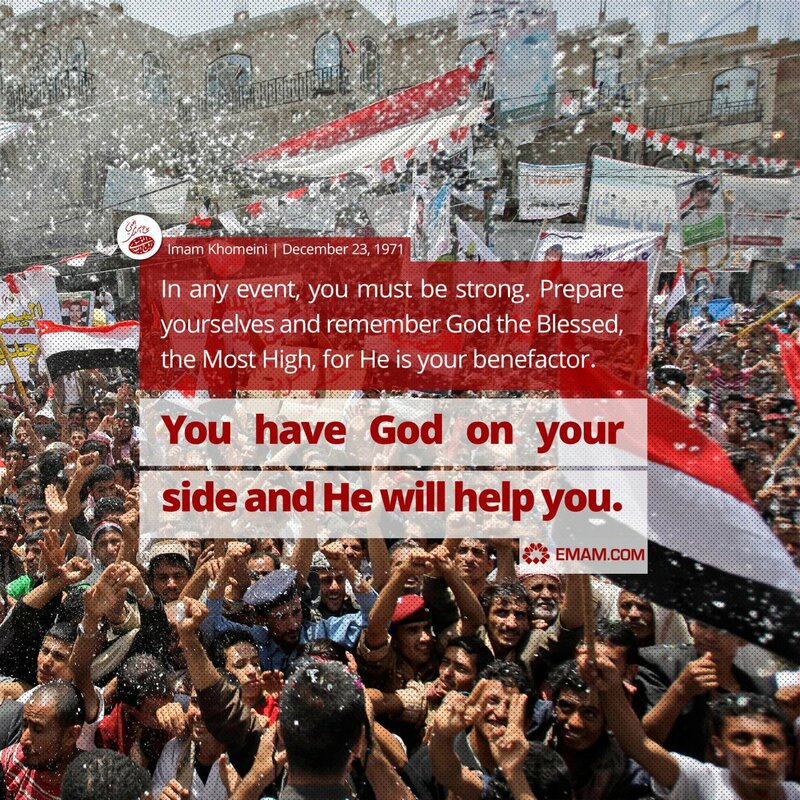 The oppressed people should rest assured that #God's promise is near fulfillment. Our nation forgot themselves and relied on #God. They did not care from their whims and wishes. What they cared for was the establishment of an Islamic Republic. They cared for God. They forgot themselves. This was the #secret behind their success.